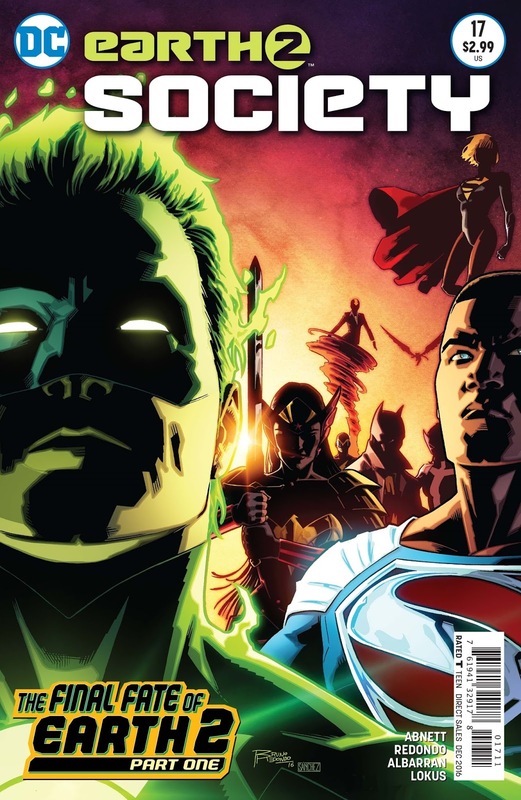 "The Final Fate of Earth 2" - Part One: "After the End"
There's nothingness as far as the eye can see, or at least that's what the Flash, Fury, Power Girl and other Wonders survey what used to be New Earth 2. In her attempt to save the world from the Ultra-Humanite, Fury rebooted the world as it is being reconstructed before their eyes. Robotic versions of Wesley Dodds/Sandman protect the newborn planet from the superheroes. Only the timely arrival of Val-Zod turns the tide of battle, but there are unanswered questions in the minds of Power Girl and her allies. Who sent the Sandmen? Was it man or machine? Are the Wonders truly alone on this restarted world, or is there a greater threat awaiting them? Story - 4: This is slightly better than last month's issue, however, I'm in "Wait and See" mode to see what direction is intended for Abnett's new story arc. I kind of get the feeling that this book will be ending soon, or a new creative team will take over. Whatever the case may be, Dan Abnett is a good writer and deserves to be on some comic, including this one. He's saved it from being an utter mess when he came on board. Art - 4: One of this title's problems in recent issues is the fact that it's been playing musical artists. By the time a reader gets used to one style, another comes along that interrupts the pathos of the book. That's partially the case here, but the visuals are a million times better that what's being done over in the Supergirl title. Cover Art - 5: Come into the light! This cover was an awesome way to introduce the new story arc that shows what its title conveys. I was impatient to read this book after seeing this image. 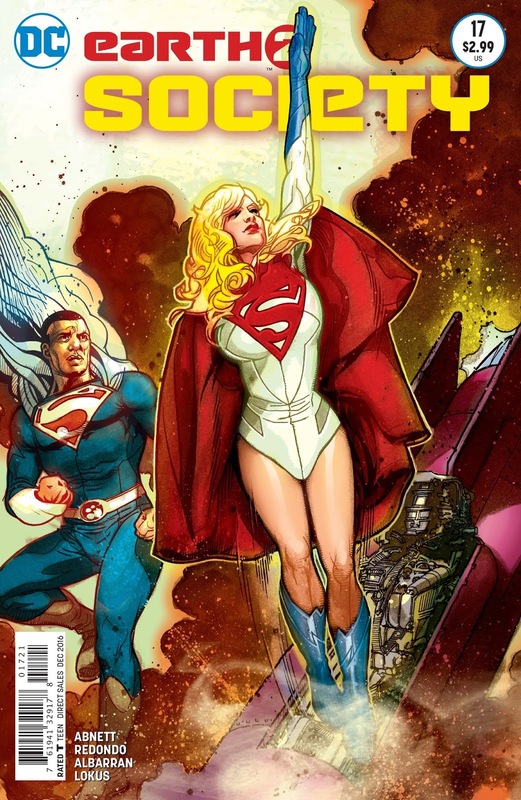 Variant Cover Art - 3: While not as good as the regular cover, this image is well drawn. Yet something about it looks rushed, and Val-Zod doesn't look quite right.